Some of the very best paddling in the U.S. is located right here. 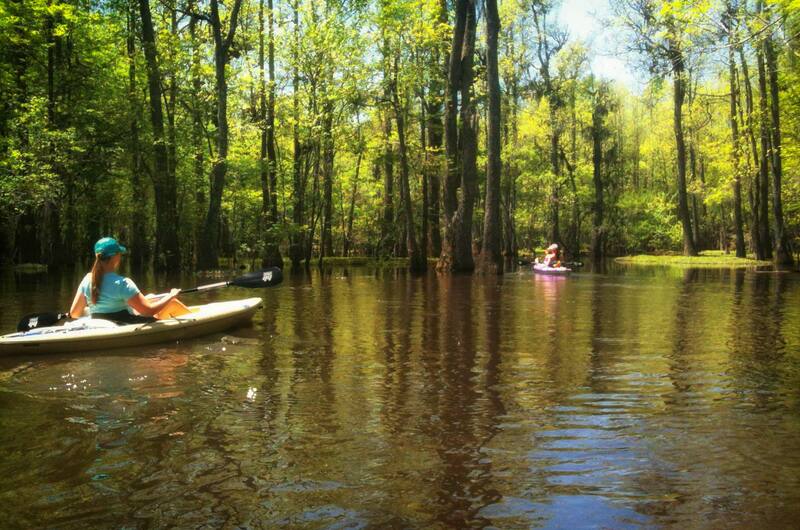 Paddle the Roanoke River or any of our creeks and swamps and not only enjoy a peaceful outing, but you’ll likely run into some of our area’s wildlife including: Beavers, White Tailed Deer, Great Blue Heron, White Heron, Wild Turkey, Wood Duck, Kingfisher, Eagles, Hawk… and more. For details on rentals, launch sites and river camping platforms view our Paddling Trip Kit. We have a paddling event happening on November 3rd that is called the Fall River Run. For details and registration information, visit the event page.